Urban environments, with their numerous wall spaces, mass transit vehicles, bridge and roadway stanchions, abandoned structures, street signs, trash can covers, and traffic boxes provide graffiti artists the essential and visible platforms needed to showcase their art. 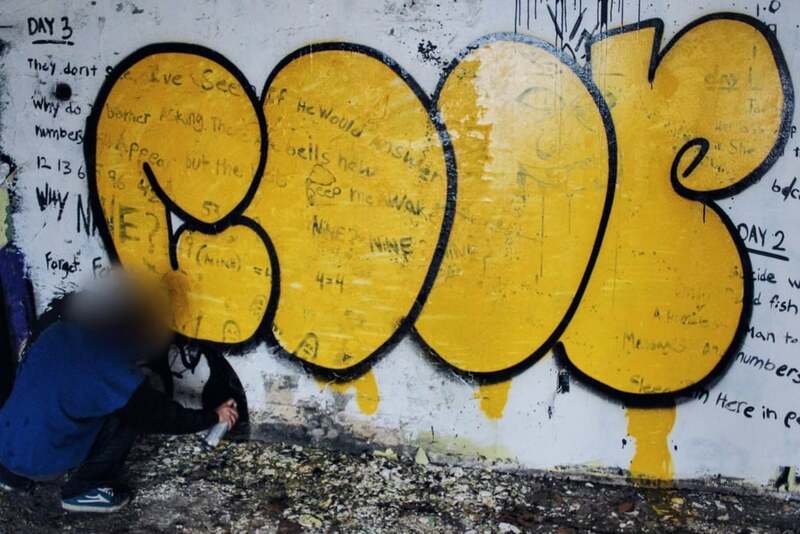 Even after getting busted by law enforcement and serving community service hours for a crime under a previous tag name, Pittsburgh, Pa. graffiti artist COOP has no problem using the city's public and private property as the canvases for his pieces. "When we go on TV we see advertisements. These big corporations are paying for billboards and what not. I'm advertising for free," said COOP. From time spent with the artist, it can be observed that graffiti is stimulated by self-promotion, creativity, respect, and secrecy. "I have a secret identity. I'm like Bruce Wayne and Batman," said COOP. Artists' personas are reflected in their "throw-ups," jargon for graffiti signatures boastfully painted to city surfaces and complex masterpieces that mark territorial ownership, ultimate exposure, and beauty. 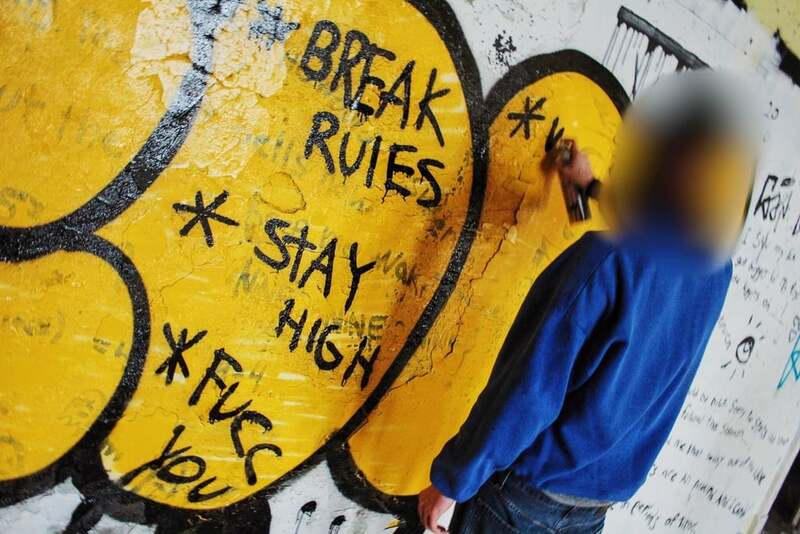 Popularization in the graffiti underground is granted by the widely viewed nature and unique location of artists' work, amongst style, technique, and daring exploration. Pittsburgh native Mook, aka Michael Monack, is notorious for having his tag name painted atop Pittsburgh's 10th St. Bridge. As COOP enters into an abandoned girls dormitory tucked away in Swissvale, a borough east of downtown Pittsburgh, he mentions to me how he wants his pieces to be seen on a larger scale. Amongst the artist's goals is expansion; COOP desires to spray his nom de plume all over the Steel City, in areas such as East Liberty, Squirrel Hill, Homewood, the Waterfront, downtown, and the North Side. 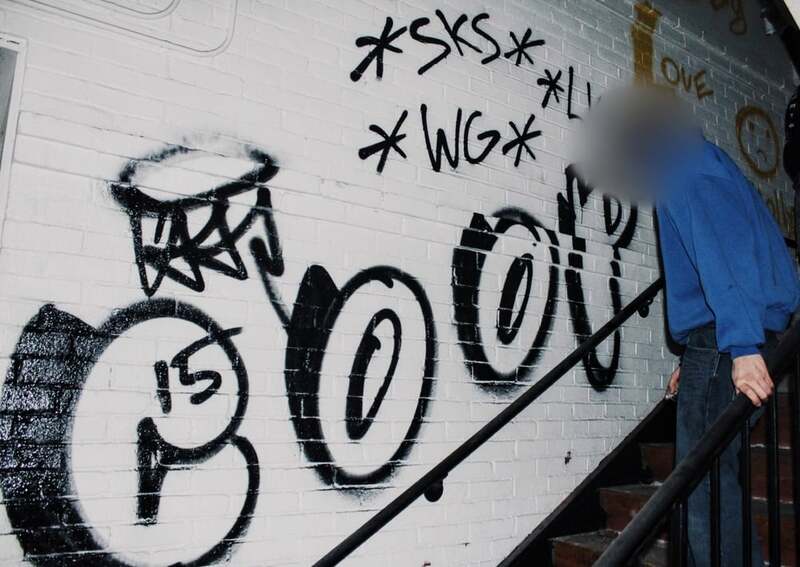 Most commonly, COOP tags around Pittsburgh outlined ghosts, different versions of the "COOP" throw-up, S.K.S. (Stay Killen Sh*t) and "Wreckaz Gang," a promotion of his Swissvale friends. When COOP begins to tour me and two of his companions around the dormitory, his graffiti is visibly tagged to walls, doors, windows, and rooftops throughout the rundown, dilapidated building. While standing in a room adorned with a mural by lauded Pittsburgh graffiti artist Kavis, COOP speaks about familiar artists in the Burgh's graffiti culture. He likes THOR, GEMS and internationally known British artist Banksy. Each time COOP uncaps his cans of Rustoleum spray paint and writes across Pittsburgh's cityscapes he is communicating and protecting his self-pride, neighborhood, and artistic ability. In order to turn COOP into an icon, however, he must find valuable and viewable locations to promote his image, and acquire a savvy that does not get him caught in his endeavours. After, respect may follow. In an effort to track COOP's growth and offer a unique perspective on the over-looked, criminal, and appreciated graffiti culture in Pittsburgh, InTheRough Style staff will photographically and video-graphically document COOP's processes around the city. Next, ITR travels with COOP to Squirrel Hill where the artist tags a staircase wall. If you are curious, you can see it most commonly at your right, if you are in Pittsburgh, driving on Interstate 376 Parkway East, and using the Homestead Exit headed to the Waterfront. Visit @intheroughstyle on Instagram to preview the motion picture.